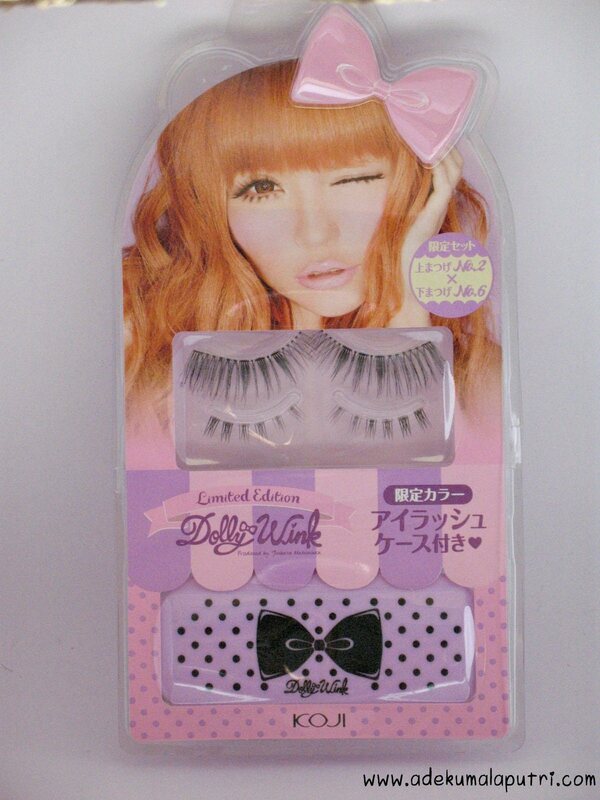 So, it comes with 2 different pairs of lashes, a glue and a limited edition eyelashes case. 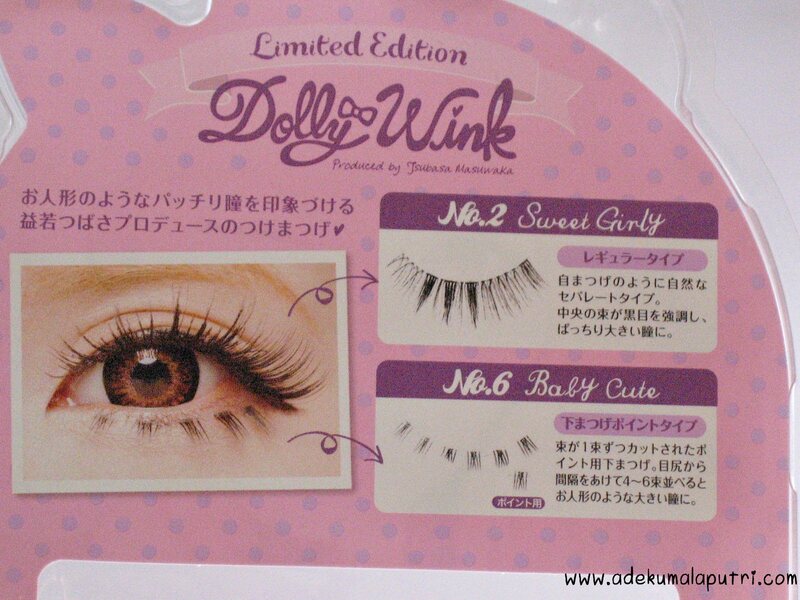 Yup, it comes with a small tube of Dolly Wink eyelash glue~ I dunno why, but I prefer to use my own eyelash glue lol. 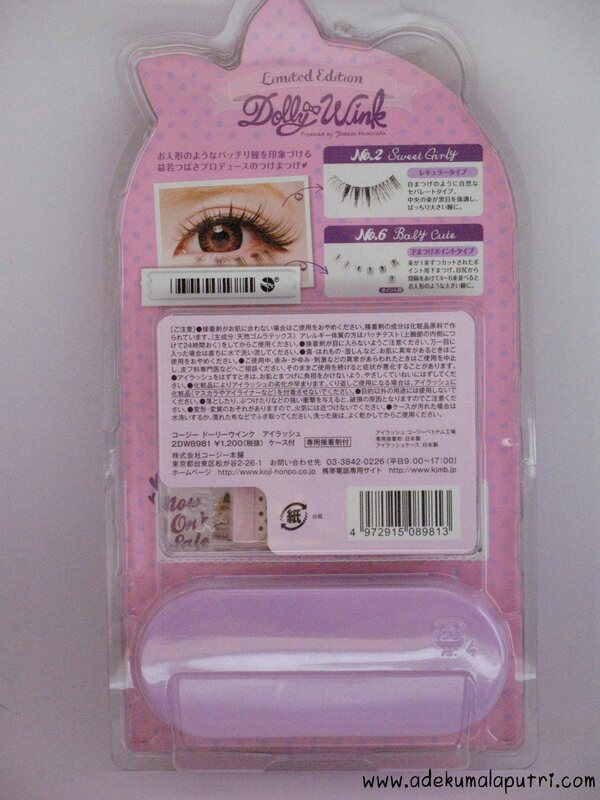 The band of the upper lashes aren't too stiff like the false lashes from other brands. Love : ✩ It's a limited edition set. 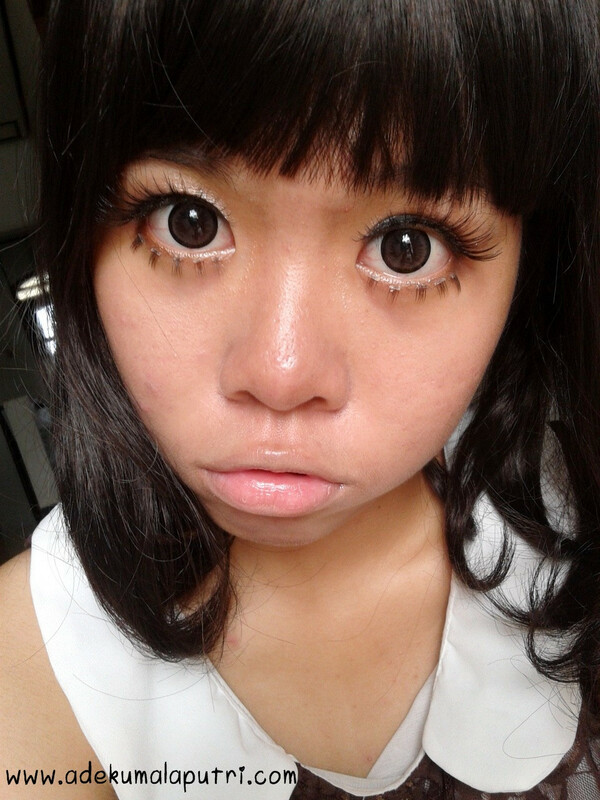 ✩ Makes my eyes look very dolly. 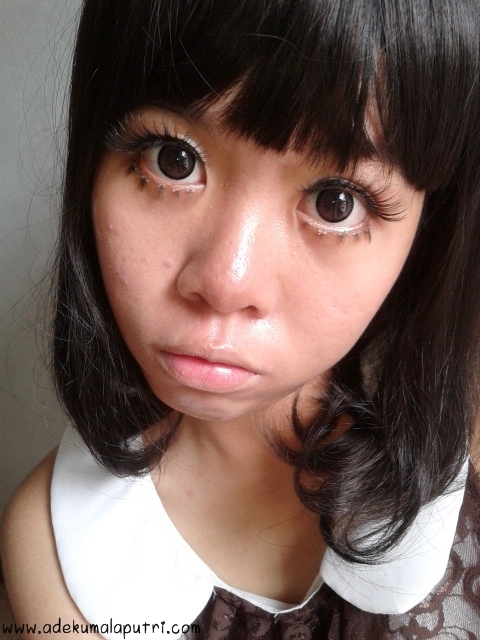 ✩ The band of the upper lashes aren't too stiff. 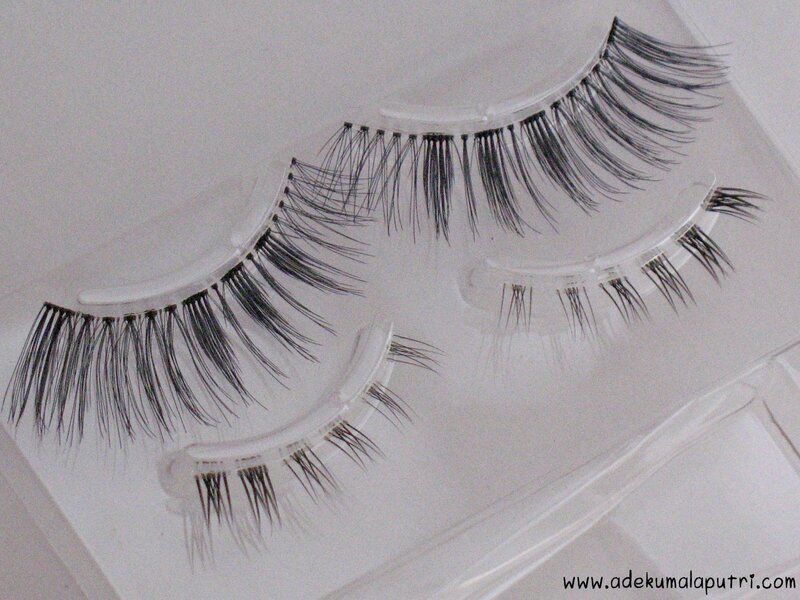 ✩ Easy to apply the upper lashes. ✩ Comfortable. 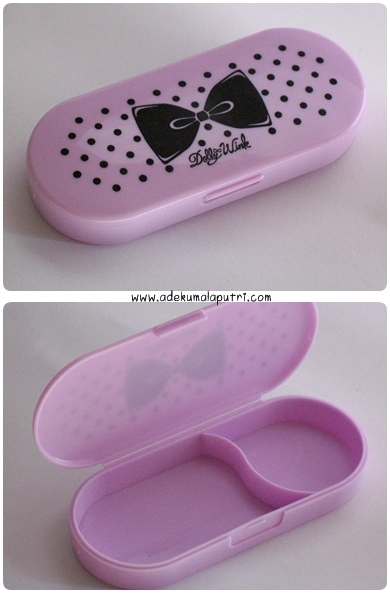 ✩ Cute packaging. Ughh I miss this blog so much! 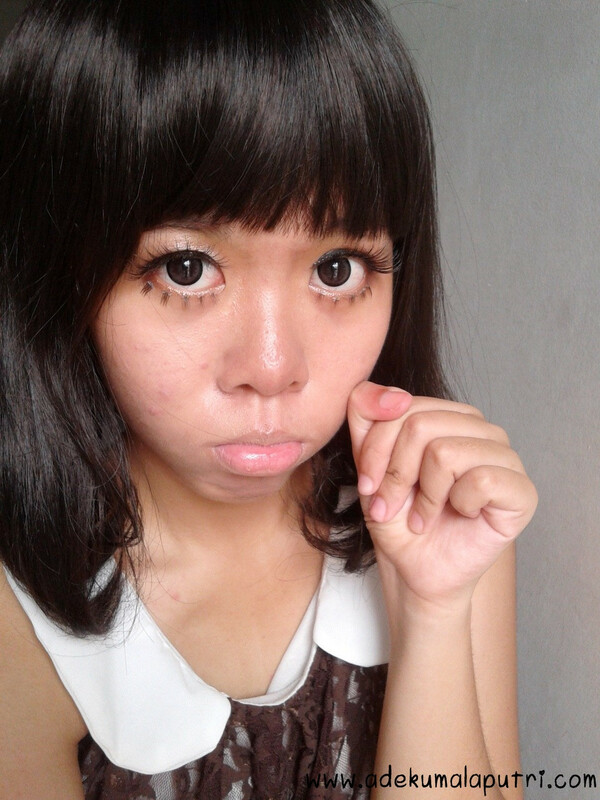 I'm very sorry for being MIA and didn't update this blog for about 2 weeks, sorry, sorry! Last week, there was a problem with my internet connection for about 5 days. And I'm also very busy with school, busier than ever. Yeah.. My daily life is very boring, so you can skip this if you want. I don't mean to complain about my school life here, this is my real life and I always tried to be a good student as best as possible. BUT now I'm sick and tired to studying math, biology, physics and chemistry almost everyday. To be honest, I'm not very good at anything. My head feels like exploding and I'm just trying not to die of exhaustion now! Almost every night, I slept at 12.00 AM because of a pile of homeworks, and I had to wake up at 5.00 AM. 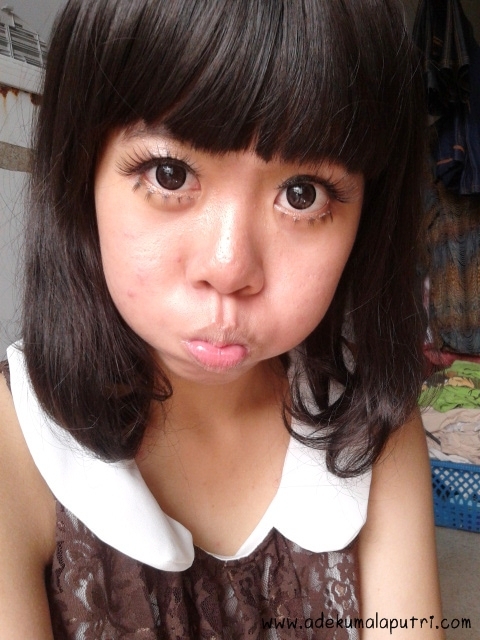 Then, I go to school at 6.00 AM until about 4.00 PM. I'm too tired!! And the weekends were a heaven for me, I spent it for enough sleep and watch Running Man to relieve my stress (only for a moment, though). 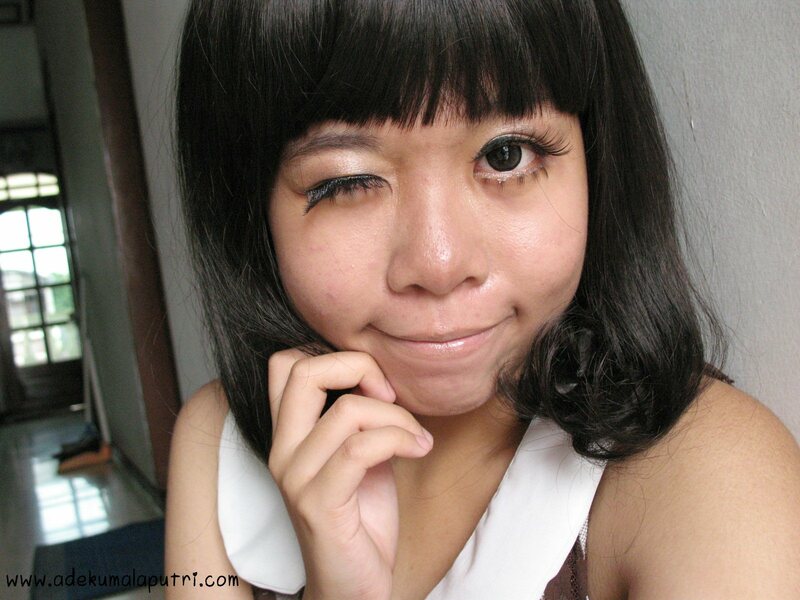 I hope you understand why I prefer to dissapeared from this blog. 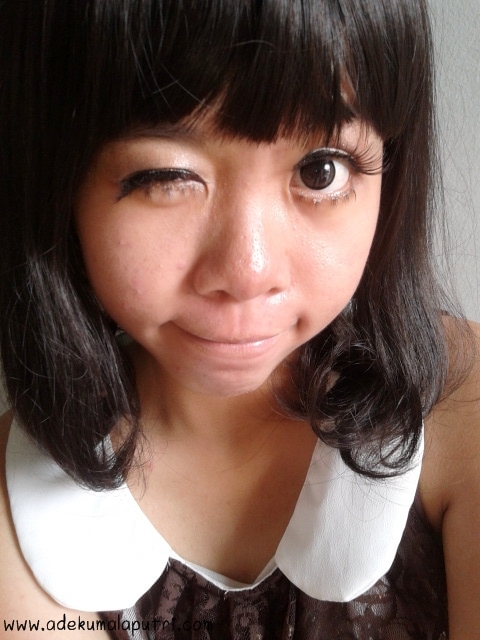 But if I have more free time, I'l update this blog (like today). As you can see in the pic above, it still contains alcohol! 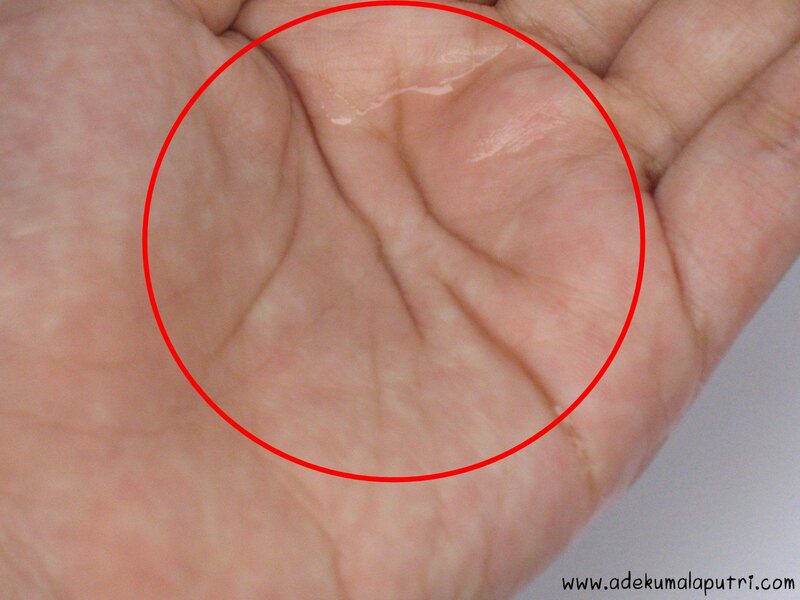 So.. if you dislike alcohol in your skin care products, you might want to stay away from this product as well. 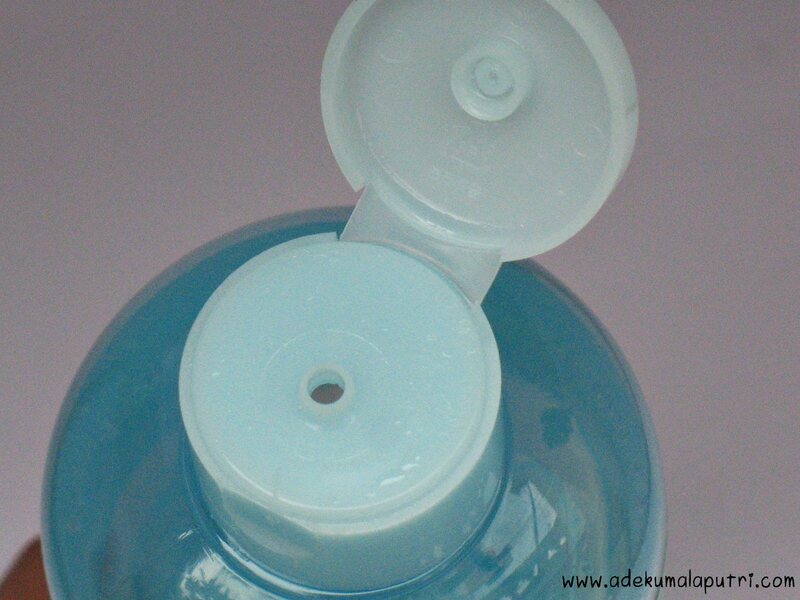 Well, this toner comes inside a translucent light blue plastic bottle. It's true that this toner could control a large amount of my sebum, but my skin looks less oily only for about 2 - 3 hours! My skin also feels so smooth after use this toner. 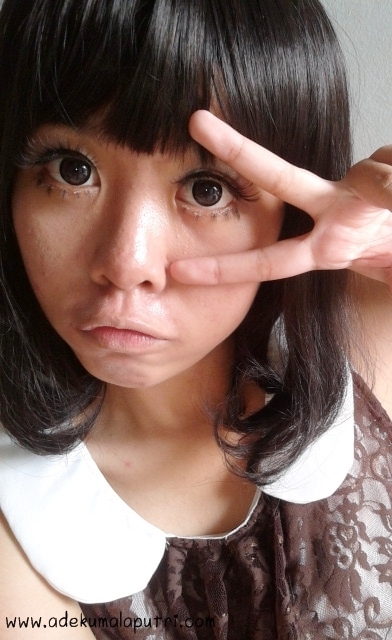 Actually I also have some milia(s) on my face and I guess this toner didn't help to solve them at all! 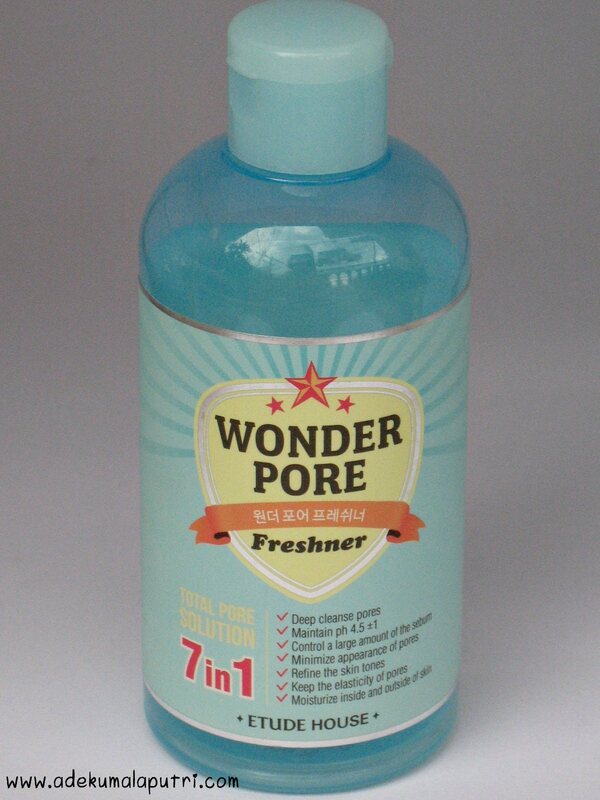 But it's very very true that this toner could deep cleanse my pores! 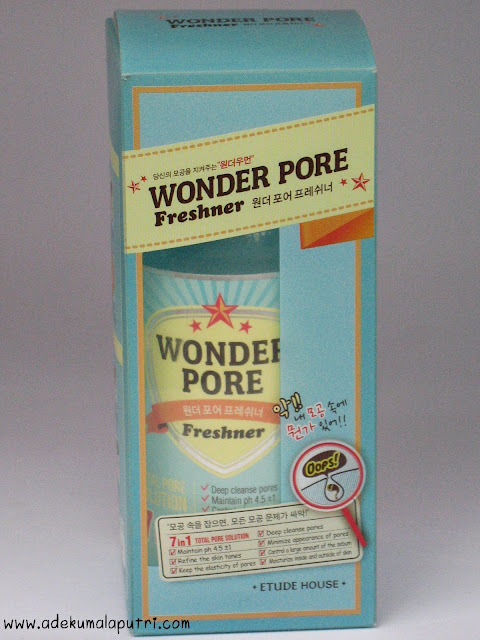 I use this toner after washing my face, and after tap the cotton pad with this toner, and also rub gently (only on my pores). 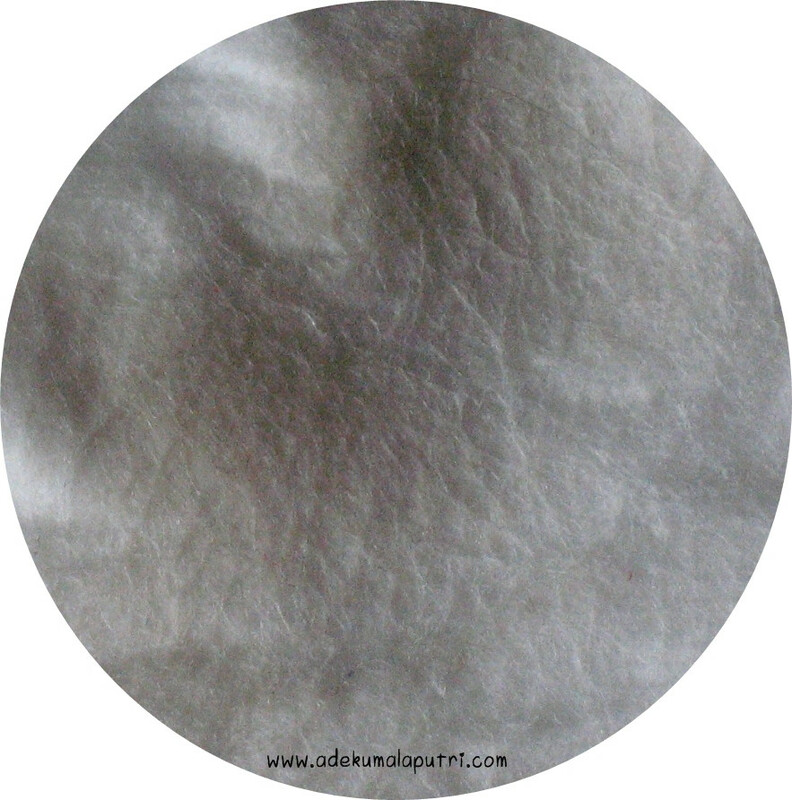 Then, this is how my cotton pad looks like..
Love : ✩ Moisturize and refresh my skin. 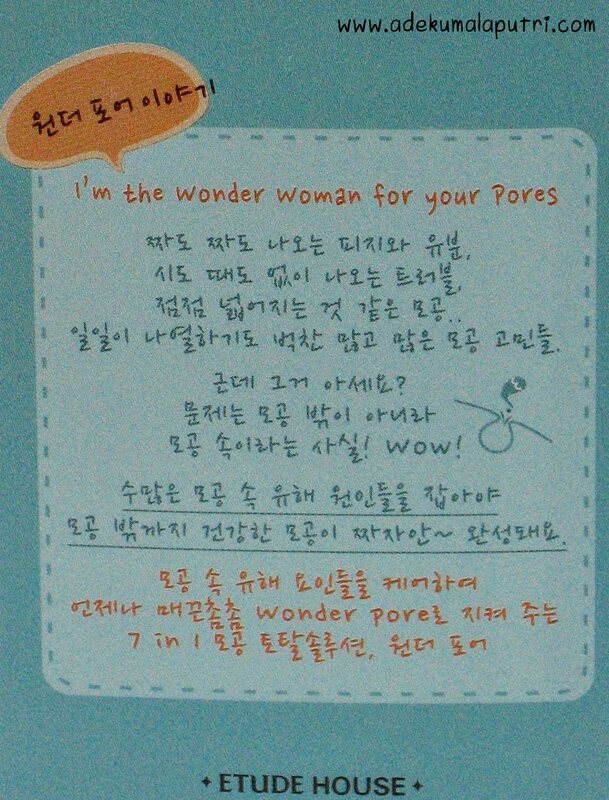 ✩ Deep cleanse my pores very well. ✩ Doesn't break me out. 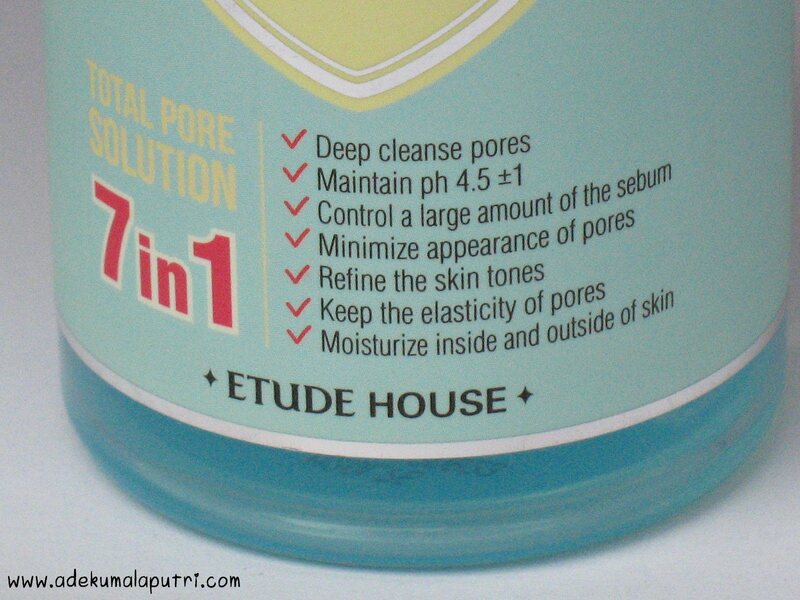 ✩ Doesn't dry my skin, although it contains alcohol. 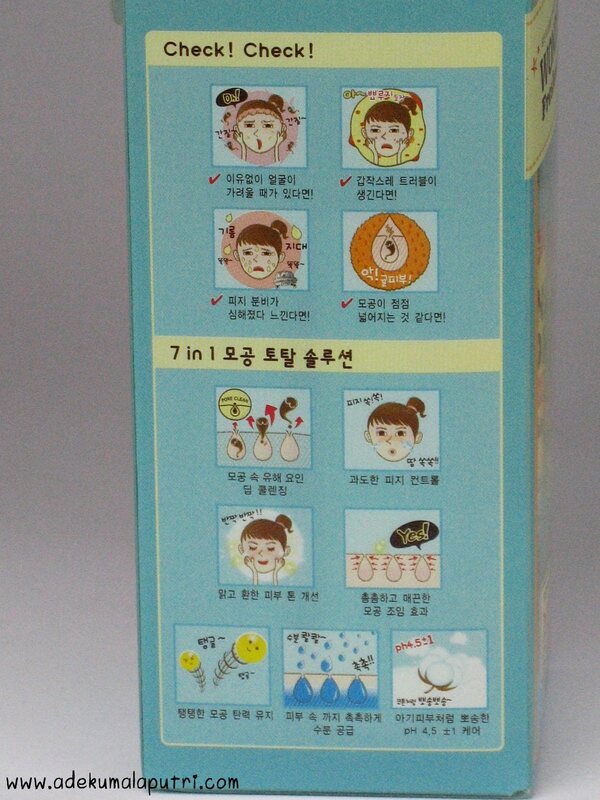 ✩ It can be used as a facial mist. ✩ It smells so bad and weird for me. 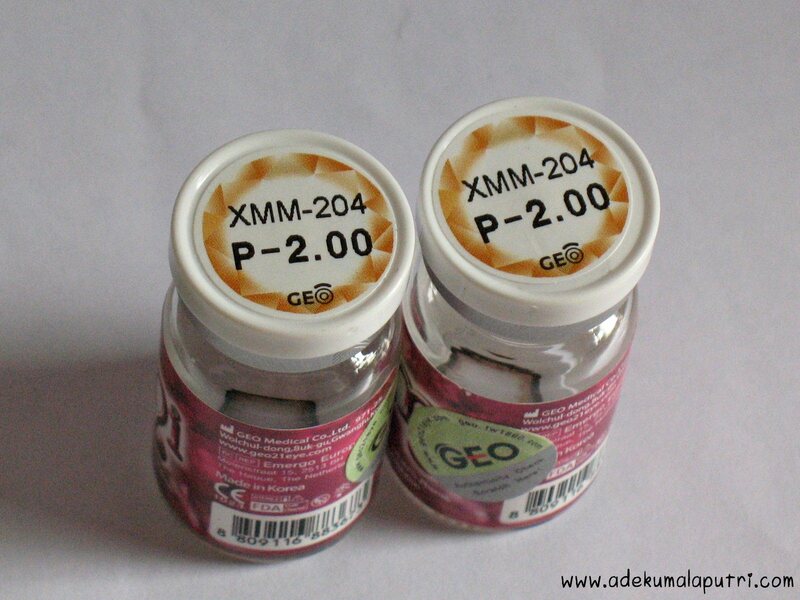 ✩ Doesn't come with a pump like the 500ml one. So, what's your favorite toner now, girls?? 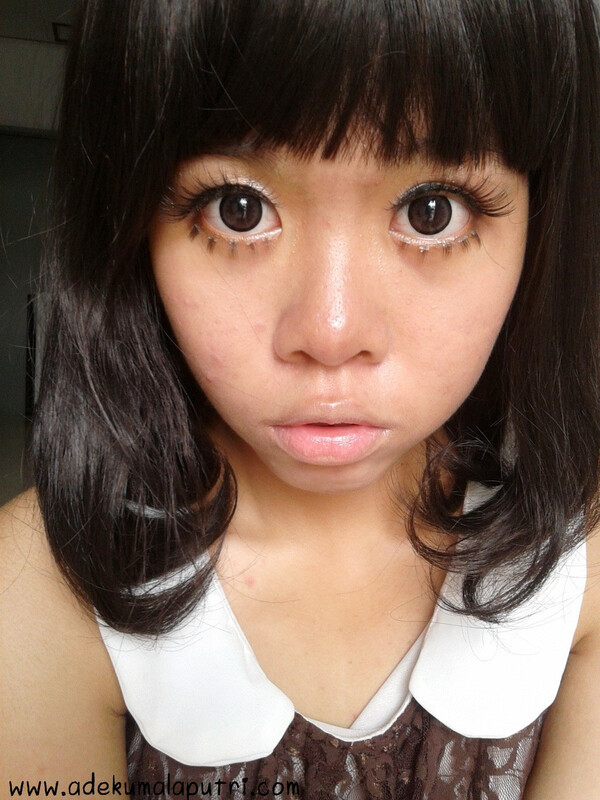 So, GeoColouredLenses.com kindly sent me a pair of Geo Bambi Princess Mimi in Almond Brown for a review purpose. 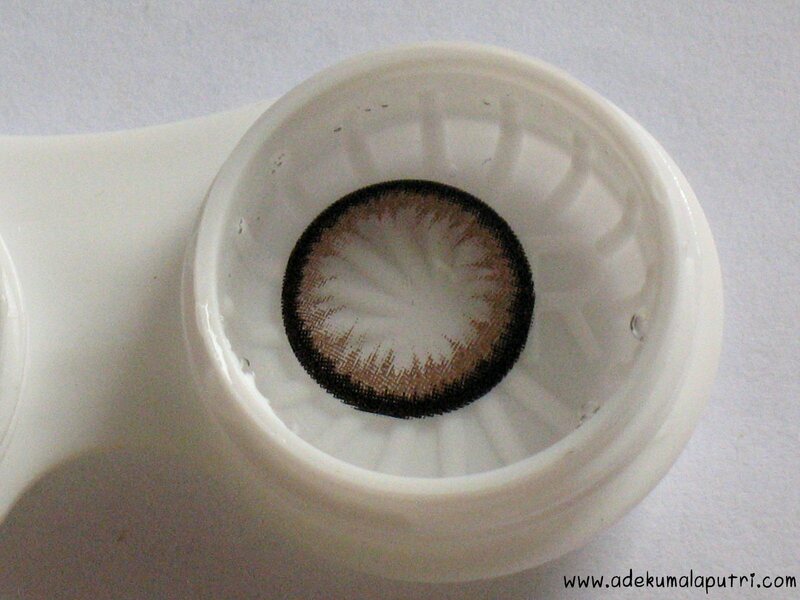 Well.. Geo Coloured Lenses is one of the most reliable and trusty online store for GEO circle lenses and most of their circle lens are available with corrective power. 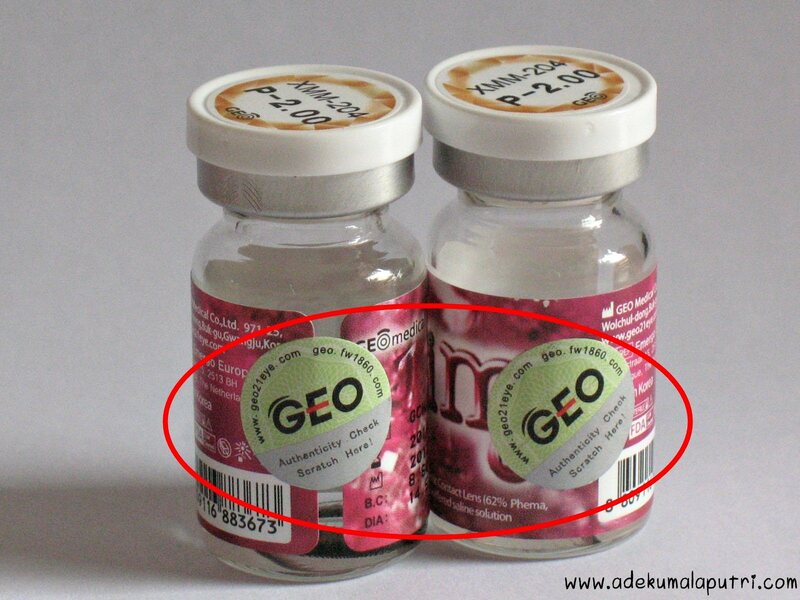 They're located in Malaysia. They also offer FREE international shipping (also with tracking shipping)! 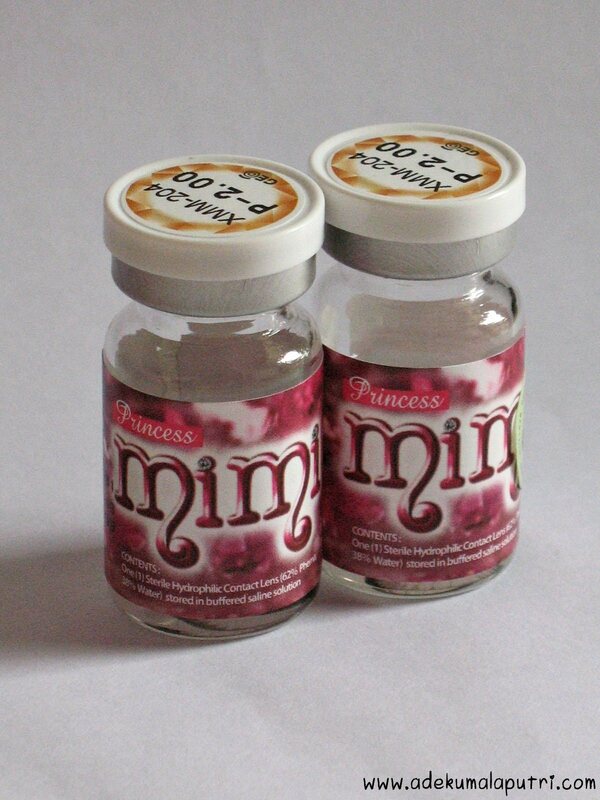 Geo Contact Lens Princess Mimi Almond, a.k.a. Tsubasa Bambi Series Almond. 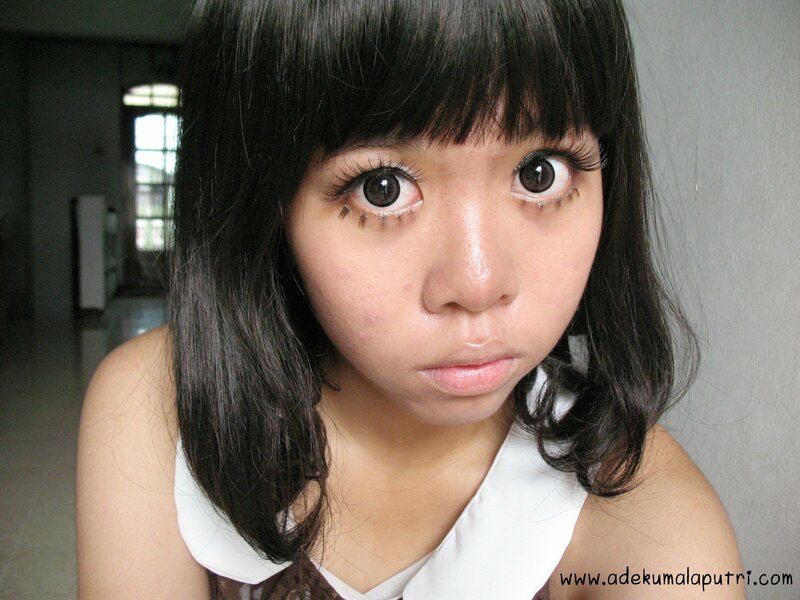 This circle lens pattern is designed by Tsubasa Masuwaka, one of the most influential and popular Japanese teen model. 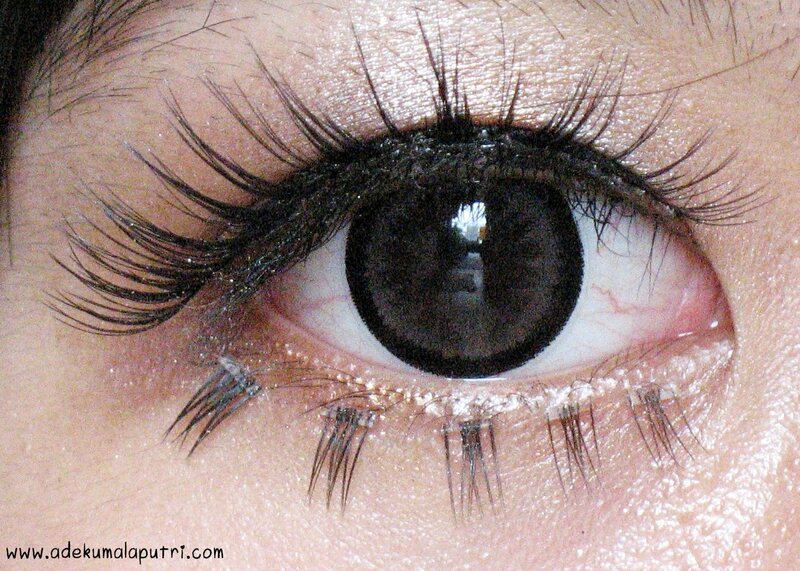 The design is very natural because the pattern blends very well with my eye color! 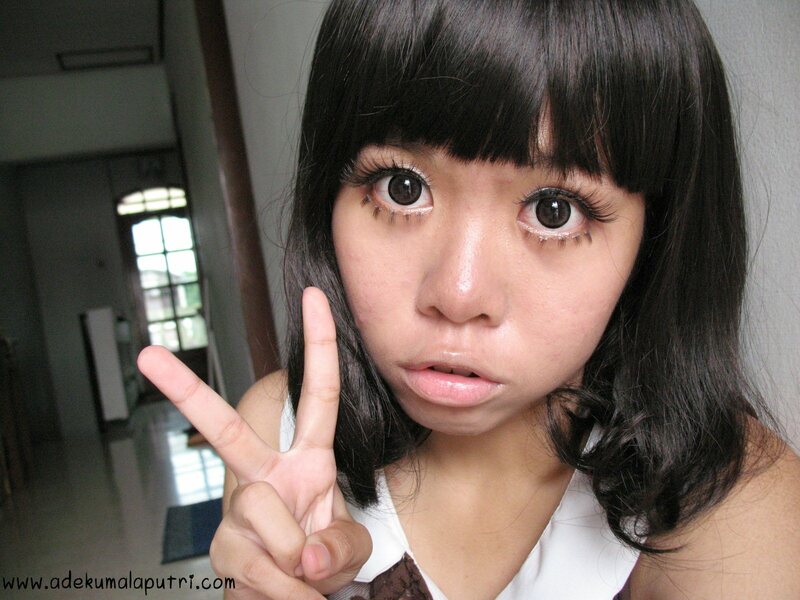 If you're interested to try these lenses, just CLICK HERE! 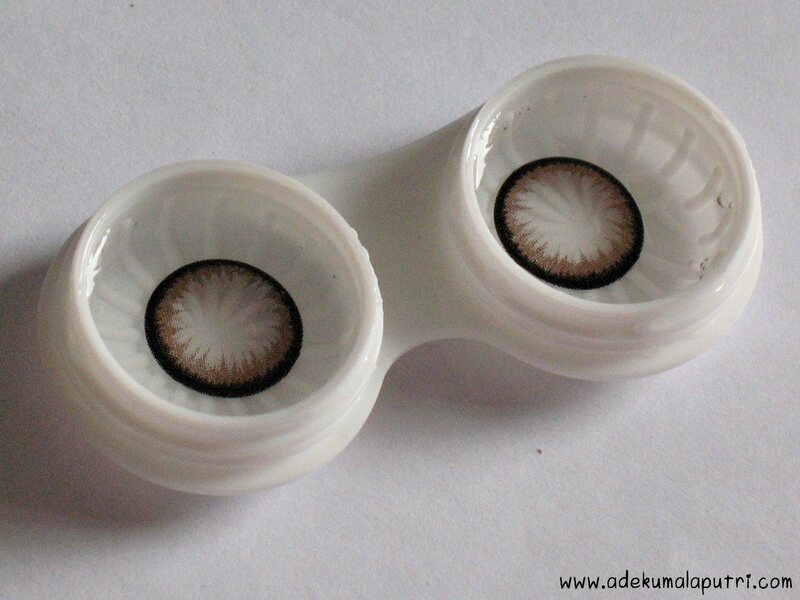 Disclaimer: These lenses were sent to me by GeoColouredLenses.com, but I'm not being paid to do this review.This review is my pure 100% opinion!